Last week, Hapa Boy, Hapa Girl and I went to the dentist office for their scheduled dental cleaning. Before we headed to the dental office we decided to stop by ORANGE LEAF to eat some Frozen Yogurt. 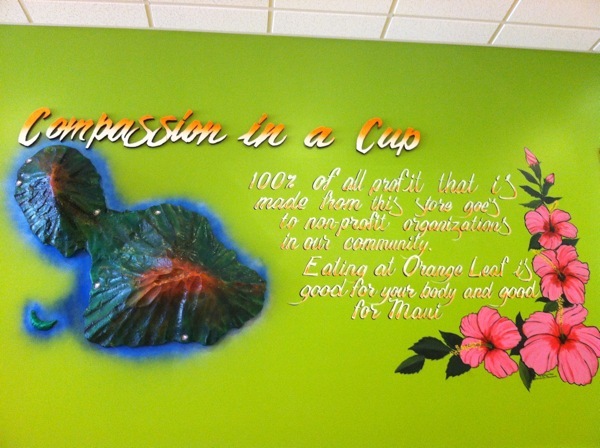 They really are the best Frozen Yogurt on Maui (not counting Guri-guri because it is not really frozen yogurt). We love how it not too sweet but it is not bland either. Just the right amount of creaminess and lots of yummy flavors! The place is very clean and the staff are super friendly! 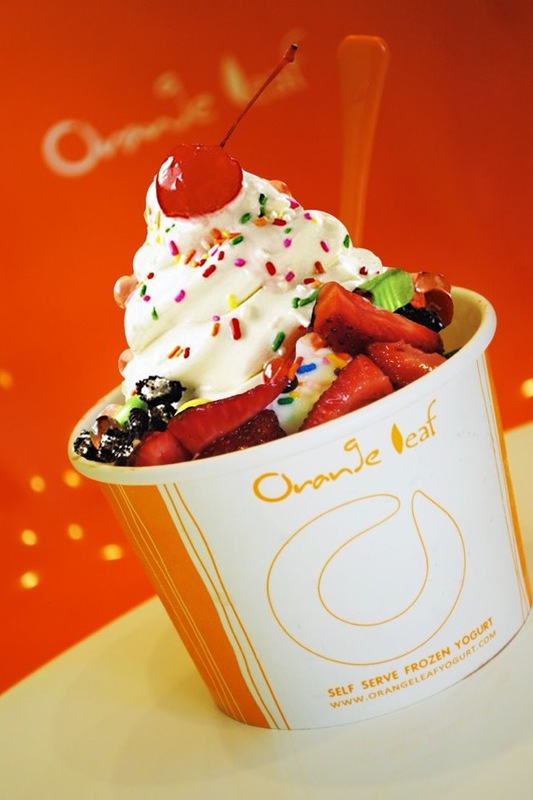 Orange Leaf is located at the Market Place in Kahului, same building as Starbucks. See you there? 🙂 By the way, did you read what it says on the second photo of this post? If not, go back there and read it, then you’ll know another important reason why this Maui Biz is great to support! 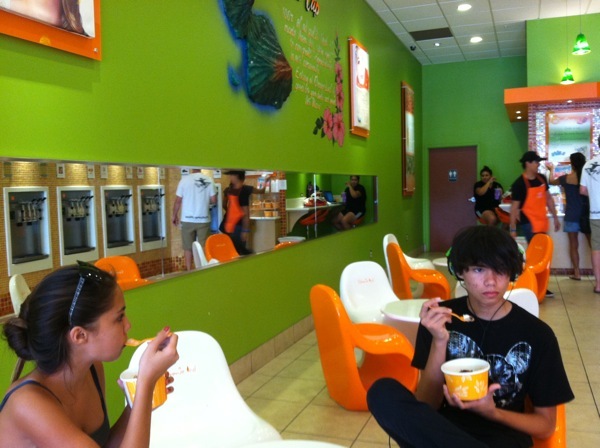 Liza – I did not know that about the Orange Leaf shop! Thanks for shining your light on that. ANd happy thanksgiving to you and all you do to support Maui. Liza, Orange Leave is my boys’ favorite, too. They describe it the same way you do. I also like the keiki cup for one price (I think it’s $3.99), because you know that you can sometime pay $10 with all the toppings if you aren’t careful at those places. Nice too that the proceeds help the community. I’ve been meaning to go there! It’s very close to my office, I’ll definitely check it out. I do prefer an original tart, not too sweet so it sounds perfect.